The Serb won 7-6 (7-1) 3-6 6-4 4-6 6-0 – the third year running they have played five sets at Melbourne Park. 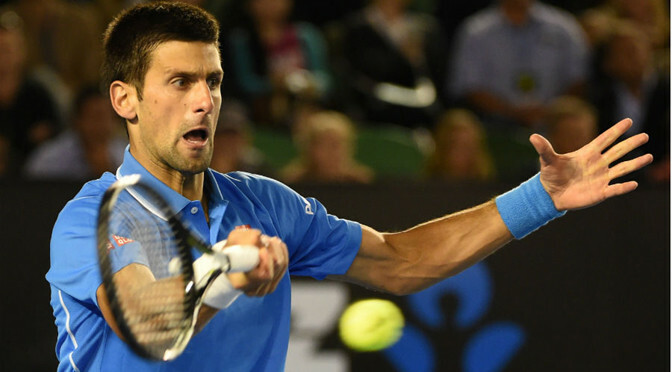 Djokovic, chasing a fifth Australian Open title, will play Britain’s Andy Murray in the final on Sunday. He beat the Scot – who is in his fourth final at Melbourne Park – to claim the 2011 and 2013 titles. “I did not play on the level that I intended before the match,” said Djokovic. “There were parts of the match where I stepped in and played a game I needed to play, but parts where I played too defensive and allowed him to dictate the play from the baseline. 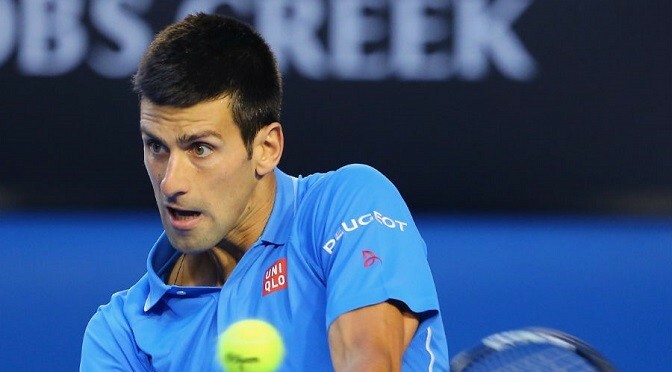 Four-time champion Novak Djokovic dismantled the big serving of Milos Raonic to reach the Australian Open semi-finals. The world number one needed just one hour and 55 minutes to beat eighth seed Raonic 7-6 (7-5) 6-4 6-2. 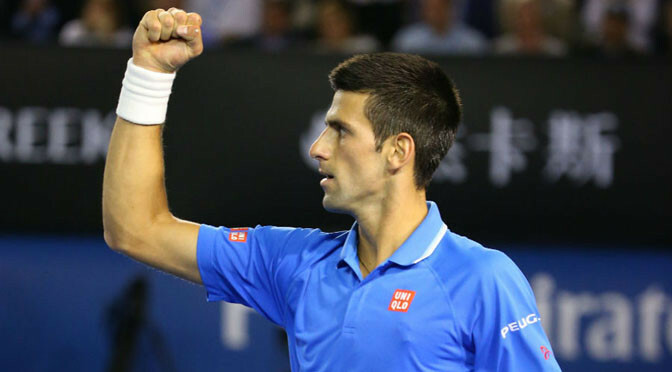 Djokovic, 27, is through to his 25th Grand Slam semi-final as he chases an eighth major title. 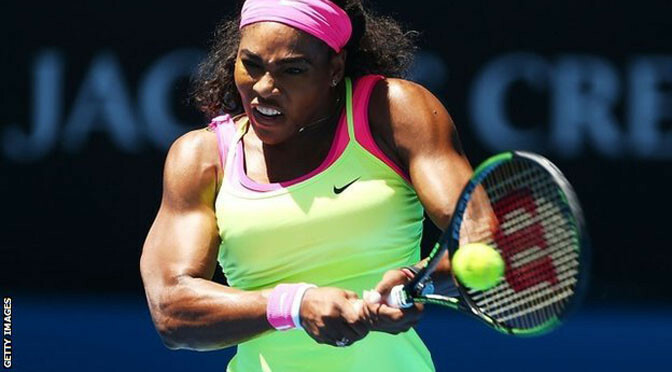 He will next face defending champion Stan Wawrinka for the third year running in Melbourne. “I take a lot of confidence,” sad Djokovic. “I try to carry that in every next match, next challenge. Obviously I’m going to play Stan, who is the defending champion here. “We played five-set matches in 2013 and 2014 Australian Open. I’m going to be ready for a fight. But knowing that I have raised the level of performance tonight, and probably playing the best match of the tournament so far is affecting my confidence in a positive way. Raonic, 24, went into the match with 99 aces to his name and having dropped serve just twice in four matches. Djokovic’s return proved too much to handle, however, and while lacking the Canadian’s service speed, the Serb moved into the last four having been broken just once in the tournament. There were moments of frustration for Djokovic as four break points came and went in the first set, but a wild Raonic forehand at 3-2 down in the tie-break handed over the initiative. Djokovic capitalised, before taking an even firmer grip on the contest with a brilliant cross-court backhand winner to finally break at the start of the second. Raonic, who reached the semi-finals at Wimbledon last year, could not hurt the top seed and failed to muster a single break point as the match raced away from him. Djokovic broke twice more as he cruised through the third set, sealing victory with a backhand volley to reach his fifth Australian semi-final. “He just didn’t allow me to organise my game. Even when he was returning well, by the end of the match he was doing a good job of playing deep and never allowing me to go forward,” said Raonic. 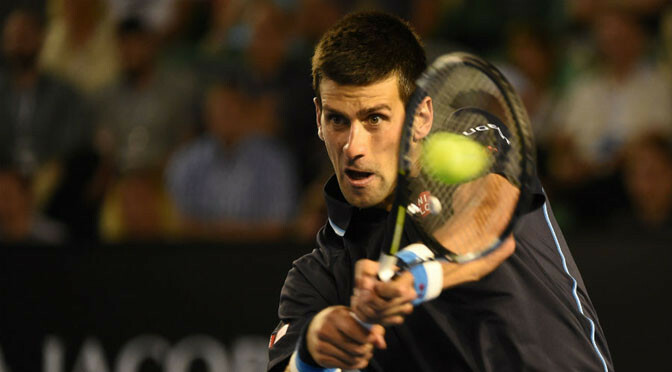 Novak Djokovic battled to reach his 23rd consecutive grand slam quarter-final with a 6-4 7-5 7-5 win over Gilles Muller. Djokovic is trying to become the second man after Roy Emerson to win five Australian Open titles – as well as his eighth major title overall. The top-seeded Serb hasn’t lost a set yet in the tournament. He was rarely in trouble against Muller, saving all four break points he faced and hitting 47 winners to just 16 unforced errors. The last time Djokovic failed to reach the last eight of a slam was at the 2009 French Open. “I [have] dropped serve only once during the whole tournament – and that is a very encouraging fact,” Djokovic told his post-match press conference. Djokovic will face his toughest test of the Australian Open so far when big-serving Milos Raonic advanced with a thrilling 6-4 4-6 6-3 6-7(7) 6-3 win over Feliciano Lopez. The Serbian cemented his status as tournament favourite with a forensic dismantling of the number 31 seed Verdasco, who barely laid a racket on the Djokovic serve. So rarely was the end result in doubt that the greatest moment of tension came when a fan chose to propose to his girlfriend during a change of ends. She said yes, Djokovic applauded. The four-times winner in Melbourne will face Gilles Muller of Luxembourg in the last 16, after Muller defeated John Isner in straight sets.